Figurative Art has been arguably the strongest link between artistic creators and the audience. It is after all a representation of ourselves – whether literally or metaphorically, the subject is a palatable topic because it is our innate nature to self reflect. Just as the changing times, figurative art has also evolved over the years. Centuries ago, literal Portraiture tested an artist’s skill on accuracy and perfection to immortalise a person on canvas (or whatever the medium may be); in current times, figurative works are no longer confined to achieving realistic portrayals of people but has evolved to embed meaning and messages through figurative works. 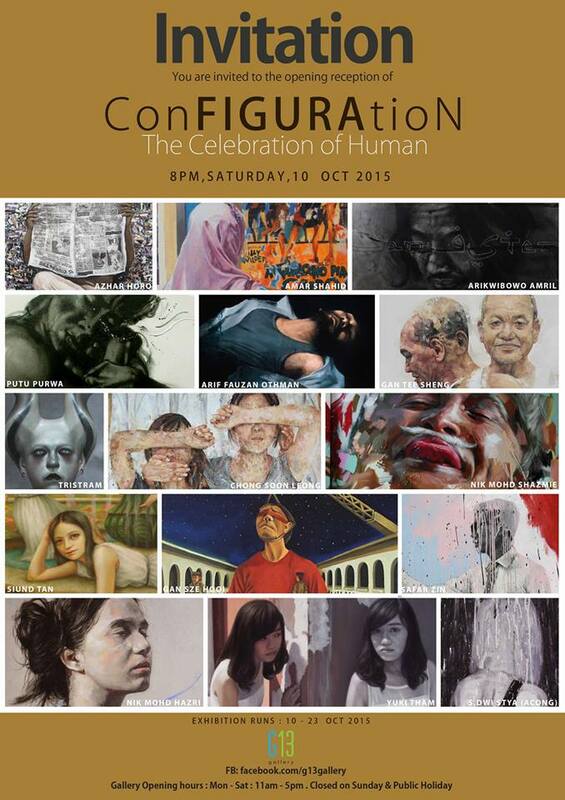 ConFIGURAtion brings together artists from around the South East Asia – namely Arif Fauzan Othman, Amar Shahid, Arik Wibowo, Chong Soon Leong, Gan Sze Hooi, Gan Tee Sheng, Nik Hazri, Nik Shazmie, Safar Zin, Siund Tan, Yuki Tham , Azhar Horo, Putu Purwa, S.Dwi Stya (Acong) and Tristram Miravalles. The works feature contemporary styles and “configurations” , and as rightfully described by G13 the theme is defined as “an arrangement of parts or elements in a particular form, figure, or combination’. The exhibition intends to yield a range of attitudes tackling the subject of figurative by a group of artists with diverse backgrounds and artistic skills. 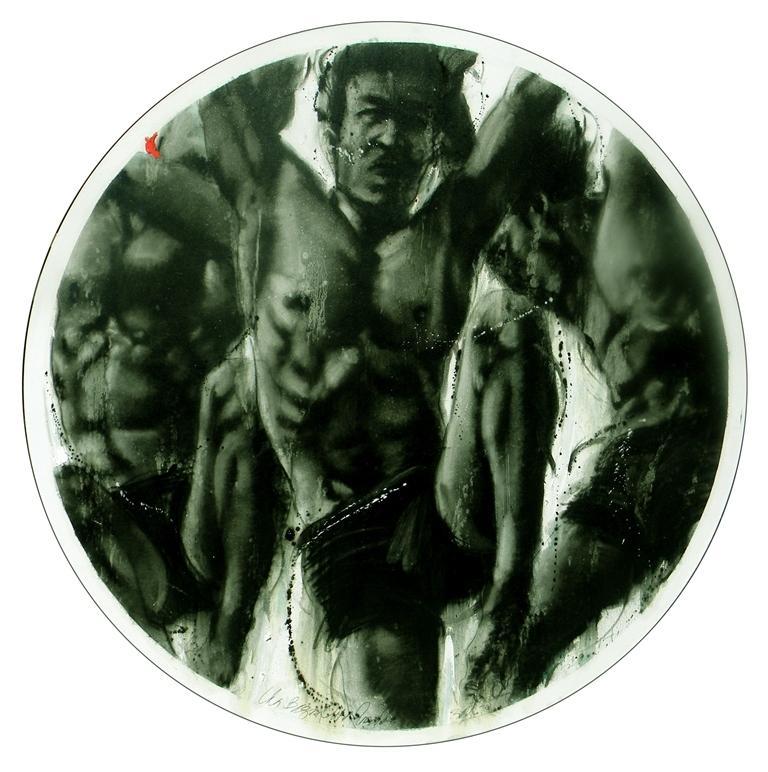 Bringing together a wealth of culture and styles, the artists have brought figurative art into a context of questioning and provocation of our being and beliefs through their various interpretation of humankind. 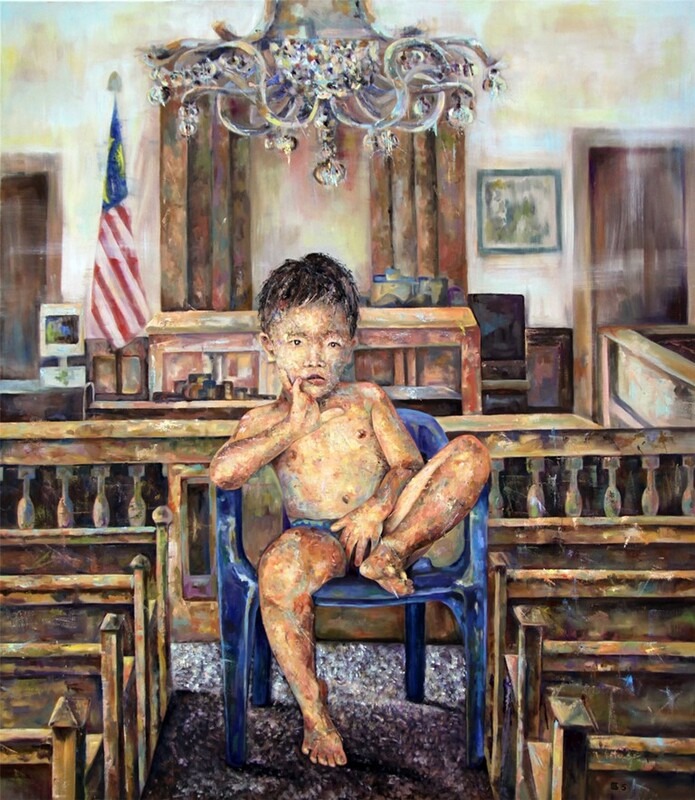 ConFIGURAtion features Siund Tan’s surrealist style resembling old fashioned illustration with a child-like perspective, Nik Mohd Hazri’s hyper-realist depictions of intense emotions, Safar Zin’s abstract figurative, Gan Tee Sheng’s portraits of people from a subtle surreal view, Chong Soon Leong’s contemporary style resembling impressionist works of children, and the most thought provoking works of Tristram Miravelle’s haunting and horrific portrayal of humans gently delivered in contrast to the dramatic contortions of his subjects. and many more. True to its intent, ConFIGURAtion is not only a celebration of Human. It is also a celebration of the interpretation of people.